When will be First Dates next episode air date? Is First Dates renewed or cancelled? Where to countdown First Dates air dates? Is First Dates worth watching? When the First Dates restaurant sets the table, hopeful singles from across the country will have a chance of meeting their dream partner. They've turned their backs on online dating in the hope of meeting someone special face-to-face, and they'll meet their potential love match for the very first time in the restaurant. In this episode, Mr Right is looking for his Mr Right, a missing wallet spells embarrassment and a perpetual wink leaves a date feeling extra nervous. In this episode, a spiritual salsa-dancer looks to find his twin flame, a landscape gardener hopes to make love blossom and it's double trouble for two surfer sisters hoping to love. On this episode of First Dates, a flight attendant looks for a man to travel with and a self-described mummas boy wants to bring a nice girl home to his family. A motivational speaker is motivated to find love for himself, a frequent friend-zone visitor tries to break through that barrier and do the laughs flow when two self-proclaimed goof-balls match? 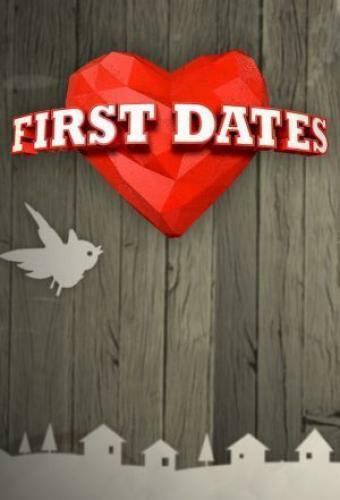 First Dates next episode air date provides TVMaze for you. EpisoDate.com is your TV show guide to Countdown First Dates Episode Air Dates and to stay in touch with First Dates next episode Air Date and your others favorite TV Shows. Add the shows you like to a "Watchlist" and let the site take it from there.